Delhi, a very beautiful Indian state in North India, has been the capital of India since the time of Mughal Empire. The region has witnessed the rule of numerous dynasties and clues of all of them can be found in the ancient monuments, grand museums, splendid performing-arts theatres and delectable delicacies. Due to this, Delhi displays a fine blend of culture of several communities residing in the country. That makes it a very unique destination in India. On tourist map of India, it holds a very special place and is visited by millions of tourists every year from all over the globe. Delhi sprawls over a total area of 1483 sq km with a population of around 12.8 million. It possesses an immense cultural heritage. 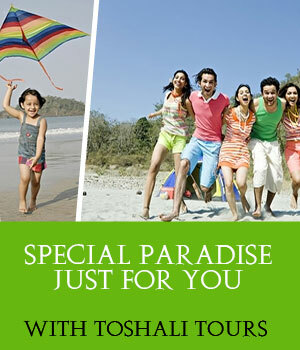 Being a prominent destination in India, Delhi has numerous amazing and worth visit tourist destinations. Air: Delhi is well connected with domestic and international flights operating from Indira Gandhi International Airport to all the major cities within and outside India. Rail:Delhi is well linked to the all major and almost all the minor destinations in India. The four important railway stations of Delhi are New Delhi Railway Station, Old Delhi Railway Station, Hazrat Nizamuddin Railway Station and Anand Vihar Railway Terminal. Road:The broad network of roads and national highways links Delhi to all the major cities in India. The three major bus stands in Delhi are Inter State Bus Terminus (ISBT) at Kashmiri Gate, Sarai Kale-Khan Bus Terminus and Anand Vihar Bus Terminus. Its winter, from mid-November to mid-February, experiences temperature hovering from 3 degree C to 14.5 degree C.
Its summer, from March to June, experiences temperature ranging from 34 degree C to 47 degree C.
Monsoon stays here from July to September. The best time to visit Delhi is from November to March as during this period climate conditions remain pleasant. Pragati Maidan: Pragati Maidan is one the famous spot of New Delhi. It is used as an exhibition place of New Delhi. Connaught Place: Connaught Place, You may call this place the heart of the city and was built by the British rulers. Qutub Minar: Qutub Minar one of the oldest monuments in Delhi was built by Qutub-u-din Aibak for his daughter. Red Fort: Red Fort is a never-to-miss tourist Place in New Delhi. Located adjacent to the Chandni Chowk, the Red Fort (Lal Qila) is the last post of the Mughals as and when they were defeated by the British rulers. Rashtrapati Bhawan: Rashtrapati Bhawan is situated in the heart of New Delhi. An architectural example the Rashtrapati Bhawan Sprawls over an area of 5 acres. India Gate: India Gate is among the most important places in Delhi. It is a commemorative monument built in honor of the Indian soldiers martyred during the Afghan war. Yamunotsav : Month - June, Venue - India Habitat Centre. Ananya Festival : Month - October, Venue - Purana Qila. The Garden Tourism Festival : Month - February, Venue - Garden of Five Senses. Varied flora and fauna lies around Mehrauli near Qutub Minar in Delhi.